StockExplain - Trusted News and Interviews on Indian Stocks: Will Rakesh Jhunjhunwala Backed A2Z Recover? 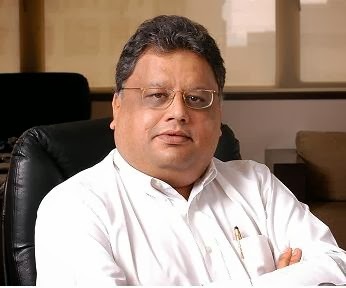 Will Rakesh Jhunjhunwala Backed A2Z Recover? A2Z Maintenance & Engineering Services Ltd (BSE: 533292, NSE: A2ZMES) stock has been falling steadily ever since its IPO days. The fall has been dramatic as within 3 years, the stock has lost over 98% from its peak value, falling from around Rs. 400 shortly after its IPO in December 2010, to Rs. 7.50 in November 2013. Though much can be said about the inflated valuations during the IPO - it was offered at 30X FY11 earnings - contributing to the steep decline, there were more conventional reasons too. As with any steadily falling stock, A2Z Maintenance counter too has been hit by continued selling by institutional and large investors. The company was backed by ace investor Rakesh Jhunjhunwala and its public offer was a rare instance where India’s ‘Big Bull’ himself sold part of his stake through an IPO. A2Z also had institutional investors like Lexington and Beacon, the latter having investments from Jhunjhunwala. Soon after the IPO, over 43% of A2Z’s stake was held by institutional investors and large investors like Jhunjhunwala. But as per the latest Share Holding Pattern (SHP), only 18.69% is held by such investors. Many of the large investors who backed the company back then, are either no longer with A2Z, or hold only non-significant stakes now. These include Reliance Capital, Elliot & Page, Bengat Finance, & Lexington Equity Holdings. Even Rakesh Jhunjhunwala has been steadily reducing his stake in the company. As per the latest available SHP for Q3, ‘Big Bull’ has continued massive selling in the counter. From his peak stake of 23.19% in May 2012, Jhunjhunwala’s personal stake in A2Z now stands at just 10.01%. Apart from a significant buy at around Rs. 100 in May 2012, the celebrity investor has been in a selling mode in this stock. In fact, he can afford to do so, as his original buying price has been as little as Rs. 14 in 2006. The massive and continued selling by Jhunjhunwala and other institutional investors was prompted by a sharp deterioration in fundamental performance of A2Z. Though its profitability and Return on Equity (RoE) have never been outstanding, the company had displayed high revenue growth and decent profitability before the IPO. But by FY’12 itself, the company had slipped into red, and by FY’13, sales too had dived down. And even worse, the loss has been widening, with the pattern continuing in Q1 and Q2 of this fiscal too. While some of the problems at A2Z have been due to the sectoral woes in the Power EPC business, which has been its mainstay, the firm has also displayed lacklustre management that contributed to problematic diversifications and accumulating debt. The firm has also been into litigations and disputes with some city corporations they were serving earlier. However, in recent weeks, the A2Z stock has recovered from its all-time lows seen in November. The company has received a Letter of Approval (LoA) for Corporate Debt Restructuring (CDR) from the CDR Empowered Group (CDR EG), and has accepted the proposal. The stock has closed in Upper Circuit during the last two sessions, and is up by around 10% within two days. However, many such rebounds in A2Z counter had fizzled out soon. The market will be closely watching whether this time is any different due to the CDR approval. The stock is trading in the trade-to-trade (T) segment, thereby forcing deliveries, and further complicating an entry. The T segment placement has been due to the high volatility in the counter. A2Z may be worth considering for an entry by fresh investors due to the historically low price and the CDR approval, but to expect too much from the counter would be a mistake, as the power sector woes continue unabated. Also, as the ongoing CDR of Suzlon shows, CDR approval alone may not be enough to generate long-term value. For long-term holders of A2Z it doesn’t make much sense to average again at this stage, as the CDR terms need to be known in detail. Any disclosed buys by notable investors, in the coming days, would be a positive. In any case, investing or trading without a strict stop-loss in counters like A2Z Maintenance is not advisable as it has been a falling-knife ever since its IPO, even slipping to be a penny-stock trading below its face value recently. Enthusiasts should exit on their stop-loss level, and keep watching the developments keenly for a possible re-entry at a much lower level.